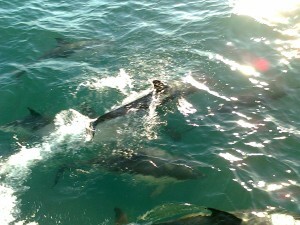 Bumped into these Dolphins out on the waters over the weekend. Great to see that they are back in Kinsale bay again. We are booked out for Friday and Saturday of this weekend, and July is filling up fast. We are currently revamping our website, so keep an eye out for our new charter cruises which include one specifically for a hen party and also one to help you chill out before or after your wedding day.